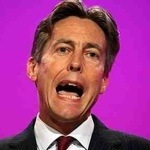 The recall of Rupert Murdoch to the Culture Media and Sport Select Committee was a hijacking by Labour’s Ben Bradshaw. Though resisted by the Tories on the committee like Angie Bray, Conor Burns and Phillip Davies as well as a sceptical Paul Farrelly on the Labour side, the fact that Tracey Crouch was absent and John Whittingdale was unable to vote as chairman meant that the plan worked perfectly. The LibDem on the committee John Leech voted with his Labour chums.